A common point of confusion when seeking care from a mental health professional is the difference among psychiatrists, psychologists, social workers, and counselors. While there is some overlap among the professions, here’s a quick run down of who does what and in what way. Psychiatrists are medical doctors (M.D. or D.O) trained in the diagnosis and treatment of mental illness. They have attended medical school and are able to prescribe psychotropic drugs in the treatment of some mental disorders. Psychiatrists often have a keen eye for diagnosis, especially differential diagnosis between physical and mental illness. They are also the best resource for monitoring medication effectiveness and side effects over time. Primary care physicians may also prescribe psychotropic medications, although PCPs will generally manage medications only for patients with fairly straightforward mental health issues. More complex or long-term cases often warrant referral to a psychiatrist. Psychiatrists do not typically provide counseling aside from medication counseling. Psychologists are mental health providers who have earned a doctoral degree in psychology (Ph.D. or Psy.D.). Often, psychologists are the best trained professionals to administer assessments and conduct psychological research. Many are trained in counseling psychology and also provide counseling to individuals, couples, and families. A psychologist’s expertise in counseling often varies depending on the focus of their doctoral work. Psychologists do not prescribe medication. Licensed clinical social workers hold masters degrees in social work and are the most similar in training to professional counselors, with some distinctions. Traditionally, social workers have been trained in case management to assist individuals with meeting their basic needs, but social workers are also able to help individuals with personal needs via counseling. LCSWs can provide counseling services to individuals, couples, and families. They cannot prescribe medication. A professional counselor holds a graduate degree in counseling. The training of professional counselors allows them to diagnose and treat mental disorders and relational problems in families and couples. Because the bulk of a counselor’s education derives from counseling theory and technique, the counseling process is more of a focus for professional counselors than diagnosis, assessment, or connection with resources, although a counselor is familiar with these skillsets. Professional counselors can provide counseling services to individuals, couples, and families. They cannot prescribe medication. Please refer to the ACA’s Professional Counseling Fact Sheet for more information. Many counseling practices experience a significant increase in calls around this time of year. Despite choruses of comfort and joy, the holidays often bring feelings of loneliness, stress, sadness, and relational discord. The way we are supposed to feel as depicted in commercials and movies causes us to experience dissonance when we realize how we are actually feeling in comparison. Something is amiss. We would do well to view that realization as a gift. In essence, God is shining a light on the brokenness so we can yearn for something better. And isn’t that the central idea behind Advent? We hope for that which is better. Within ourselves, we seek peace, joy, grace, love, faithfulness to win out against our frenzied, sad, self-righteousness, begrudging, and fickle hearts. Within our world, we long for Jesus’ grace to captivate our souls and for His Kingdom to restore all things. Advent is about hoping and longing for that which is better. 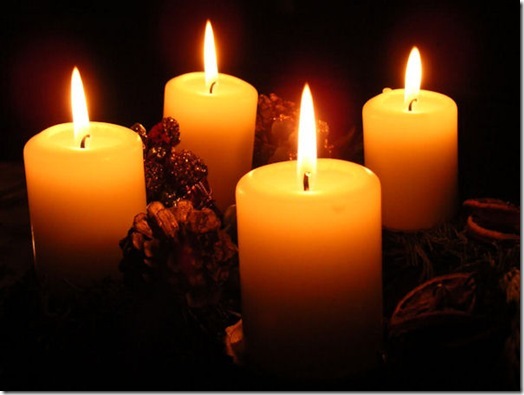 The introduction to the afore-mentioned Advent Project reads, “The frenetic activities of the holidays tend to work us up, while the spiritual practices of Advent quietly focus our souls.” Take time this Advent to intentionally and deliberately focus your soul and consider the ways God might desire to lead you out of captivity and darkness as you prepare for a new year ahead. Some people think counselors must have it all together: Perfectly healthy relationships and always the right words to say at just the right time. Friends, do not be deceived. Last week I grabbed coffee with a new acquaintance. As I sat across from her, I understood the reason for her tears. Both slamming into her at the same time. Both leaving her wishing for God to be near, for him to speak, for him to provide. I listened, I validated, I expressed empathy. Then, instead of delving deeper, I did exactly what I hate! I did the thing I was so emphatically warned against in my training. I rushed in to fix it. I longed to offer something of worth, but I felt inadequate. My insecurity won out. Instead of being the aroma of Christ, I tried to be the Savior himself. Instead of sitting with a fellow sister in her pain, I scurried to patch things up and save the day. Larry Crabb calls this phenomenon SelfTalk, primarily because at the end of the day, it’s more about me than you. SelfTalk is more about quelching my discomfort than deepening another’s desire for God. In his book, Soul Talk, Crabb articulates a desire for something better. He asks, “How can conversations between followers of Jesus become a stage on which the supernatural power of God is unmistakably displayed, where souls come alive, where life is enjoyed, where love is released and souls connect?” (Crabb, 2003, p. 26). That something better, you may have guessed, he coins Soul Talk, which involves thinking beneath what is in front of us and looking for the battle going on within the soul of another. It is only possible by the presence of the Holy Spirit and a steadfast resistance to the pulsating urge to run, help, or refer. Soul Talk requires a deeply authentic encounter with another that overflows from communion with the Trinity and waits for the Spirit to lead. “Most people go through their entire life never speaking words to another human being that come out of what is deepest within them, and most people never hear words that reach all the way into that deep place we call the soul.” says Crabb. If you are dissatisfied with chatting, arguing, maneuvering, and missing those most important to you in conversation most of the time, don’t follow my example! When you are afforded the opportunity to connect with another in a meaningful way, resist the urge to run, resist the urge to help, and resist the urge to refer the tough situation to someone else. Dig your heels in, be honest about what’s happening within you in that moment, and follow the Spirit’s lead. Crabb, Larry (2003). Soul Talk: The language God longs for us to speak. Brentwood, TN: Integrity Publishers. According to the National Association of Anorexia Nervosa and Associated Disorders, nearly 95% of those who have eating disorders are between the ages of 12 and 25. For about half of those individuals, depression is a simultaneous issue. Many people blame television, pop culture, and social media for the onset of eating disorders. Indeed, the media bears its fair share of the responsibility (check out a NYT summary of this famous research study done on Fijian adolescent girls), however, the cycle in which many adolescents find themselves caught actually has much more to do with painful emotions than media pressure. The cycle tends to go like this: You feel uneasy (i.e. anxious, sad, bored, resentf ul, etc.). You desire to cover over those feelings, so you use food as the drug of choice (either abstaining or consuming) to cover those feelings. After temporary relief, you feel guilt, shame, self-hate, or hopelessness, which renews a sense of self-hatred that then emotionally predisposes you to repeat the behavior. Food is not just food, but a tool to get the release you’re seeking (Jantz & McMurray, 2002). The longer the behavior goes on, the more it is reinforced by both the body and the brain. Many adolescents lack the emotional vocabulary and other resources to cope with unpleasant emotions, leaving them with few alternatives but to continue the cycle. The good news about eating disorders is that decreasing those unpleasant feelings and helping an individual find a sense of security and calm can take away the urgent need to cover unpleasant feelings. 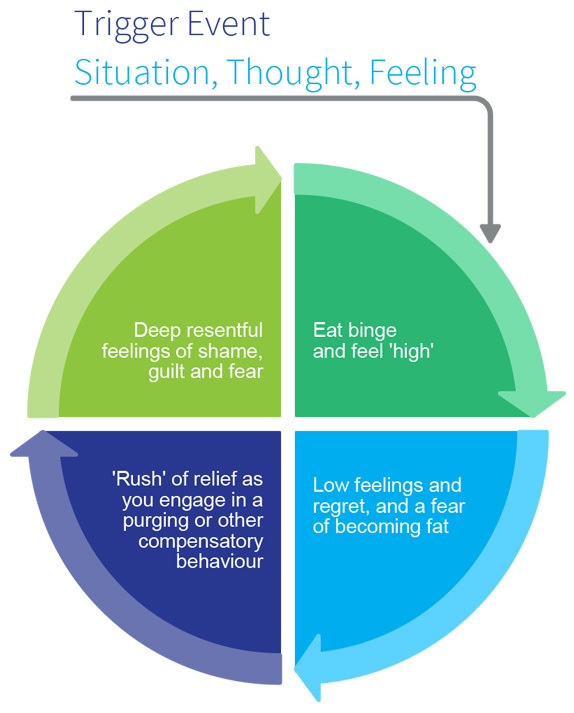 This very action interrupts the cycle and allows space for the development of healthy coping behaviors to help with those unpleasant emotions that all of us experience. This process takes time, especially when considering how long it took these patterns to develop and take root, but it is possible. If you know someone struggling with an eating disorder, contacting a therapist is a wise first step. The text mentioned above (Hope, Help, and Healing for Eating Disorders by Gregory Jantz and Ann McMurray) is also a helpful resource. With the end of summer comes the return of schedules, weekly commitments, and down-right busyness. In all these things lies the temptation for hurry as we flit from activity to activity. Sure, we lament the hurry, we bemoan how crushed we feel under its weight. Yet, if we are honest with ourselves, we often choose hurry more than hurry chooses us. We wrap ourselves in it like a protective cloak, hoping to shield ourselves from something unfamiliar that God might be requiring of us or from times of stillness, solitude, and prayer that might force us to reckon with a sense of nagging discomfort within. It doesn’t take long to realize that we would feel naked without the familiar cloak of hurry. Busyness, even busyness in the church, can act just like a drug, numbing our senses to the emptiness inside or distracting us from the pain that has taken root in the deep, far reaches of our hearts. Indeed, busyness may make us feel good and valuable, but it is just as unsatisfying and hollow as a chemical substance used for the same purposes. We weren’t made for busyness. Alan Fadling introduces the concept of “graced fruitfulness” in his book An Unhurried Life. He explains that genuine productivity does not involve getting as much done as possible, but “doing the good work God actually has for us in a given day” (Fadling, 2013, p. 54). He illustrates this point with a parable of two servants in the household of a king. One servant rose early before dawn and worked tirelessly to accomplish all the tasks he imagined the king would want done that day. The other servant rose early as well, but began his day by visiting the king and asking what work he desired to be completed. The busy servant may have been more productive, but the inquisitive servant was more fruitful, for it was the inquisitive servant who was actually doing the will of his master. In God’s eyes, it is only this inquisitive type of productivity that can be called fruitfulness because it is born out of an active abiding in Christ. In God’s Kingdom, we are more than servants or even inquisitive servants. In fact, we are sons and daughters, made not only for service, but for fellowship. So as you feel the temptation to hurry this fall, stop to ponder who gave you the to-do list you are clutching to your chest as you load the kids in the car for the fifth time today. Was it you? Your family? The social expectations of those who might be watching? Or was it our King who has explained that his yoke is easy and his burden is light (Matthew 11:30)? I pray that this fall would be different- not just for you, but for me as well. This go-round, let our productivity be bathed in abiding fellowship with our Lord and thus transformed into graced fruitfulness for the Kingdom. In Courage and Calling, Gordon Smith communicates a comprehensive theology of vocation and a practical rationale for its pursuit. His thesis is set in the context of a modern understanding of work and offers a distinctly realistic and hopeful theological response. Smith crafts a broad definition of calling that encompasses three main components. Primarily, he explains, mankind is called to Christ, secondarily, individuals are called to the everyday demands of life, and thirdly, calling can be understood as a sacred way of serving God in the world. It is this third understanding of the concept that constitutes the majority of Courage and Calling’s focus. Yet, Courage and Calling is about more than articulating a general definition of calling. For Smith, vocation is a central aspect of what it means to be a Christian and as such, the “what” and “how” are of equal importance. To Smith, pursuing one’s vocation with integrity, excellence, truth, diligence, and generosity are just as important as evaluating one’s desires, gifts, personality, and conception of the needs of the world in order to discern one’s specific vocation. Attention is also given to specific issues such as working within an organization, learning when it is appropriate to resign from a position, the importance of perseverance in the face of adversity, and in pursuing one’s vocation, the essential nature of doing so with courage. Courage and Calling gives the reader perspective on the idea of vocation along with insight into determining one’s specific vocation and how to pursue and fulfill it in a Christ-like fashion. This text could be utilized in career counseling as a resource on specific subjects relevant to the client or to be read as bibliotherapy in its entirety. Either way, it proves a valuable resource for articulating a strong theology of vocation as it relates to discernment, fulfillment, and completion of vocation. A sequel text that allocated more attention to the details of discerning one’s gifting, desires, personality, and conceptualization of the world’s problems would be advantageous. Deep Breathing: Pearl of Wisdom or Old Wives Tale? You’ve heard it a hundred times: “calm down, take a deep breath” as well-meaning advice on how to handle stress. But does it actually work? And if so, how? It’s all a part of the miraculous design of the human body. 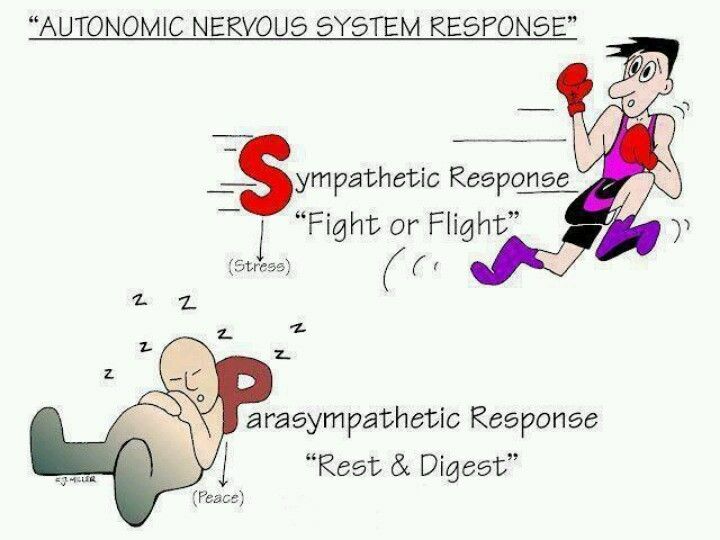 Our autonomic nervous system consists of two parts: the sympathetic and parasympathetic nervous systems. The sympathetic nervous system orchestrates all of our fight or flight reflexes. Think rapid breathing and the adrenaline you associate with stress. Conversely, the parasympathetic nervous system is initiated by slow, deep- again I say- slow breathing. This calms us down. Essentially, you can think of the sympathetic nervous system as the gas, the parasympathetic nervous system as the brake. Just like when driving a car, you can’t pump the gas and brake simultaneously, so guiding yourself to take intentional, deep breaths forces your body to slow down and therefore, calm down. While this is happening, your sense of stress and anxiety is automatically suppressed. In addition to the immediate benefits of decreasing stress and mitigating anxiety, deep breathing is also associated with more far-reaching health benefits. Some research suggests it can offer positive effects on everything from asthma to blood pressure, the immune system to digestion, with some data even implicating an impact on the expression of individual genes. There’s nothing fancy to it. Breathe in through your nose. Make the breath in last a second longer than you think it should. Pause here as if you are arriving at the initial crest of a rollercoaster. Then, breathe out through your mouth. If you have the benefit of some solitude, let yourself verbally exhale along the way, making a swooshing sound. Allow your shoulders and fists to follow the lead of your breath, tensing as you breathe in and relaxing as you breathe out. You can even make the experience meditative by repeating a phrase from Scripture or ancient liturgy. Lord Jesus, have mercy on me, a sinner. I am the vine, you are the branches. The Lord is compassionate and gracious, slow to anger, abounding in love. Change emphases where appropriate to help you reflect on truth and soak it in. You could even try incorporating your body into this exercise in other ways. In Celebration of Discipline, Richard Foster describes a technique he calls “palms up, palms down.” While sitting, breathe in with your palms down as you consider an attribute of God’s character and grace. Then move your hands so that your palms are facing up as you slowly breathe out. As you do, make a conscious effort to release specific worries, fears, and sins to the lordship of Christ. Though deep breathing as a solution to stress and anxiety may sound trite, theological anthropology supports its basic suppositions and science proves its efficacy. Though distinct from one another, our bodies and souls are valued aspects of our personhood and intricately connected to one another. My hunch is that if you give this practice a shot, your experience will add another level of validation. Don’t knock it till you try it!